Rock On 2 is all that the internet has been raving about with exceptional concerts done by the Rock On 2 team and Arjun Rampal who being so close to the project makes it a point to be a part of the planning. The National Award winner for supportive role in 2008 for Rock On!! is too close to the Rock On team and besides playing his part on screen the actor gives in his 100% off screen as well. Arjun Rampal whose character from Rock On was loved by all and the actor is quite fervent about this film and likes to put in efforts when it comes to promotions and planning. Whatever the reason be, the actor takes time out from his schedule and stays in touch with both the producers Ritesh and Farhan in the planning process and gives his bit. 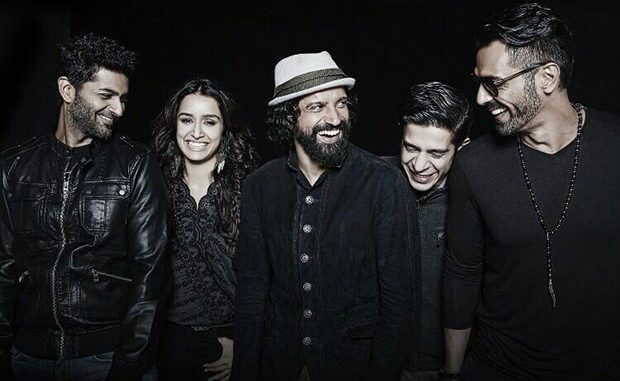 Recently the Rock On 2 team has been on a Live concert spree of which Arjun is seen being a part of. The actor who definitely has other commitments seems to have set the film as his priority. Last night too, the team was seen performing at Ramjas college in Delhi with all their energies intact! During promotions too, Arjun makes sure that it’s fun and keeps cracking the rest of the Gang! The audience has been in anticipation of the film since long and the film is finally going to hit the theaters in just 2 days.. Produced by Ritesh Sidhwani and Farhan Akhtar under the banner of Excel Entertainment presented by Eros International, Rock On!! 2 is directed by Shujaat Saudagar and is all set to release on 11th November 2016.